In this installment of the Weigh-In, Chad Boblett collaborated with Uber Freight to share how he got his business off the ground. After 10 years as a sergeant in the Marines, I wanted a job that offered the same opportunity I found in the military. I kept coming back to driving. From what I could tell, companies were always hiring and the work was steady. I started out as a local company driver, making my way back home every 24 hours or so. The risks of being independent kept me from making the jump to owner-operator, but I couldn’t shake the desire to go out on my own. After an injury led to time off work and mounting debt, I felt I had nothing left to lose. I’m glad I made the move. As a company driver, I was helping someone else get closer to their dream. But as an owner-operator, I’m chasing my own dream. My personal advice — take the risk and get your own authority. You’ll never look back. When you’ve outgrown being a company driver, there are essentially two paths: you can lease onto a carrier or get your authority. When you lease onto a carrier, nothing is 100 percent yours. The carrier takes a percentage of all profits and can put restrictions on where you go, the loads you book, and which brokers you work with. As an owner-operator, I make all of the decisions about when I work and how much I earn. Despite my success, it didn’t happen overnight. The first thing I needed to do was purchase a truck. There are a lot of approaches when making a purchase this large. I initially started shopping around at different banks for credit-line approval, but ultimately ended up using credit cards. Because I purchased on my own, there was no lien on the title, and I went on to use that title as collateral for the trailer. Other drivers save money over time or take out a loan. It's important to find the best approach for your life. It can be a complicated process to get your own authority. There’s a lot of paperwork involved, and you have to consider things like insurance and permits. To simplify the process, I decided to pay someone to help me. I viewed the upfront cost as a necessary risk — it saved me time and I knew that everything would be done by the book. When you are an owner-operator it’s important to consider the rate-per-mile and cost-per-mile when booking loads. If you get a great rate down to Miami, but there are no loads worth moving on the way back, was the trip worth it? Think big picture. I also encourage using technology to help plan loads in advance. As with most businesses, you have to be diligent about monthly expenses. I keep track of every line item — like fuel expenditure, insurance, fixed and variable costs — and I block off time once a month to review and troubleshoot. In my experience, being diligent about my expenses means more money ends up in my pocket and I've become more efficient over time. When you get your authority, you’re likely going to interact with brokers in a new way. I like to think of them as my customers. I'm not late, rude, or unreliable because it will impact the success of my business. It’s taken me about three consecutive loads with a broker to build a relationship, so I take the time to foster these relationships. Show brokers they can trust you, and you’ll start to see the results in your bottom line. Creating community amongst your peers is also important. I wanted a space where truck drivers could collaborate freely, so I started the Facebook group Rate Per Mile Masters. Now, it has over 23K members who discuss how to find the best loads and stay organized in the process. In my experience, once you realize the money and freedom that comes with being an owner-operator, there’s no turning back. The views expressed in this post are solely those of the individual being featured. Experiences may vary. 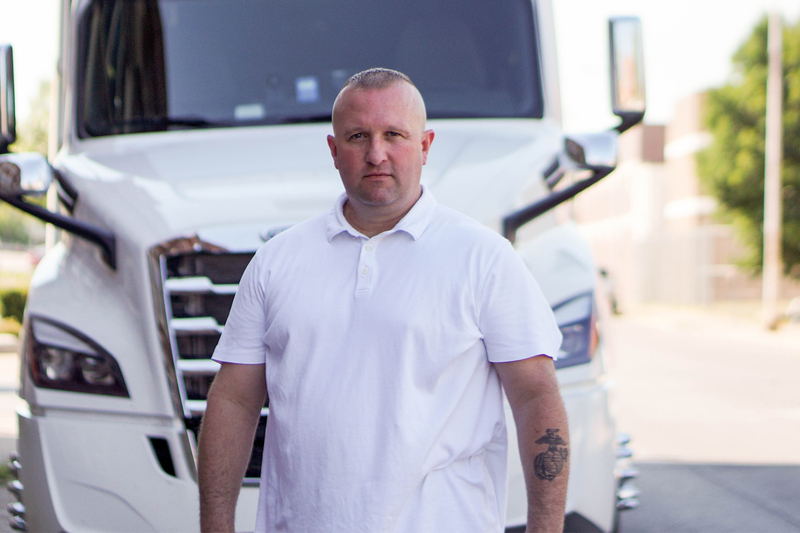 We’d love to hear about your own experience in becoming an owner-operator. For a chance to be featured in The Weigh-In, share your story in a comment below.